Many know Atchison as the birthplace of Amelia Earhart, but the nice little town on the Missouri River has a more mysterious side that&apos;s fun to explore as Halloween nears. Highlighted in books, documentaries and TV shows, the Sallie House is the most famous of Atchison&apos;s ghostly haunts. According to local legend, in 1906, a young girl died at a doctor&apos;s house during an excruciating painful operation without anesthetic. Nearly 90 years later, a family moved into the home and noticed strange happenings. The dog would bark at nothing in particular, especially in the nursery room. One time they left the house and returned to see the toys in the nursery placed in a circle in the middle of the room. Other times, they noticed pictures had been turned upside down. Then things took a violent turn. The husband in the family once sensed a severe drop in temperature and then noticed scratch marks on his leg. After a few similar episodes, the TV show Sightings filmed a special on the house. The ghost hunting equipment used for the show appeared to bring out the worst in the ghost as the scratch marks appeared more often and the husband once reported being shoved toward the stairs when no one was upstairs with him. The house is now sits unoccupied and is open for tours and "paranormal investigations" if you&apos;re brave enough to possibly come face to face with a ghost. Other mystically spooky opportunities include Supper with the Spirits, gallery readings and psychic readings. The Atchison Chamber of Commerce also hosts more family-friendly activities for people looking for a ghostly experience that&apos;s a little less frightening. 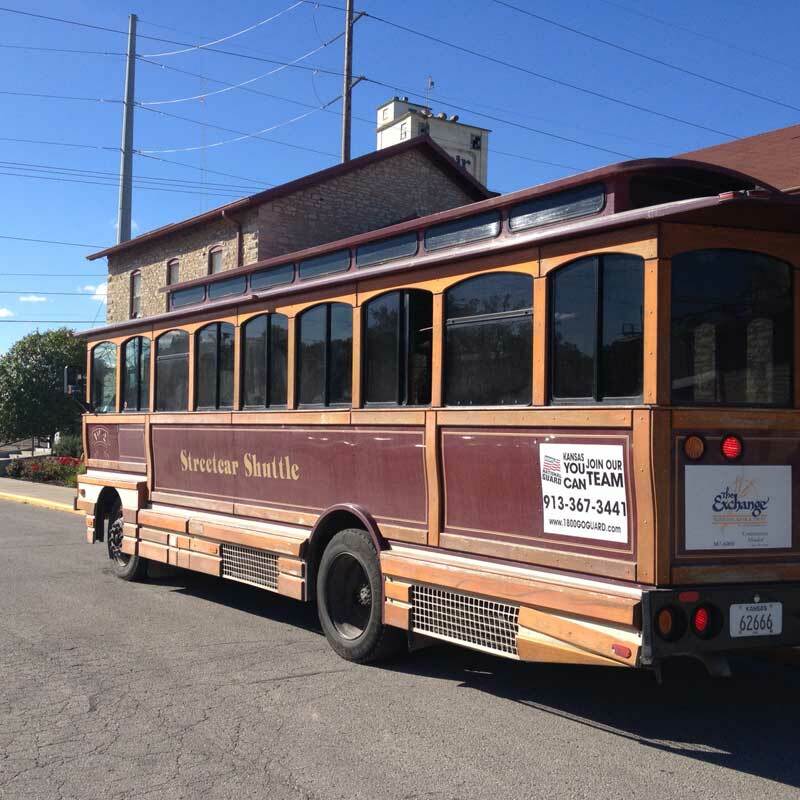 An hour-long trolley or bus tour passes by many of the reportedly haunted buildings throughout the city. Our tour guide combined recorded ghost stories from an iPod with her own tales of Atchison&apos;s history to paint a comprehensive overview of the city&apos;s past. Her jokes and comedic interjections in the stories set a jovial tone on the trolley. A few unfortunate passengers did get frightened once or twice when the tour guide snuck up behind them and yelled, "Boo!" as they concentrated on snapping pictures of haunted homes, hoping to see an apparition in the window. That was as scary as the tour got, however, so it&apos;s safe for kids who can handle a few ghost stories. For the younger children, Atchison&apos;s Jackson Park hosts an afternoon of "Fireside Fun" complete with ghost stories and a zombie walking workshop. The Haunted Atchison activities start in late summer and reach a climax the week of Halloween. If you&apos;re traveling to Atchison in the fall, be sure to see the autumn colors along the Glacial Hills Scenic Byway, a stretch of K-7 running from Leavenworth, north through Atchison and into White Cloud. Most of the activities launch from the Chamber of Commerce&apos;s office at the Santa Fe Depot, where you can browse through the gift shop, stroll through the Atchison County Historical Society Museum or book a tour through Amelia Earhart&apos;s Birthplace Museum. Even if you don&apos;t encounter the paranormal in Atchison, you&apos;ll be sure to have a good time.